What does it take to create lasting happiness? 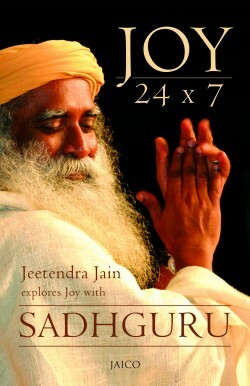 Sadhguru provides wisdom and insight on how happiness stems from within and what you can do to nurture innate happiness. What is the solution for lasting happiness? You’ve probably read a lot of articles on the internet about how to find happiness and while some of the tips may work, you don’t actually do them. Others stop working after a while so you stop following through. Isn’t there a solution for lasting happiness that really works and keeps working? Sadhguru is questioned on the truth about how to find happiness and keep it. Happiness, along with all the emotions, explains Sadhguru, is just a certain kind of chemistry. He discusses the technology with which we can create the kind of chemistry we want within ourselves. Sadhguru: So, what does a happy man look like? What do I look like to you? Now, we are thinking of happiness like it is some kind of a commodity or some kind of an attainment. No. When your life comes to ease and when you come to ease, then happiness is a natural consequence. What does it mean to come to ease? There are many ways to look at this. Well, I should not say “look inward” because you already put a condition on me! Today, even medically we know that every human experience has a chemical basis to it. What you call as peace is one kind of chemistry. Happiness is another kind of chemistry, as are joy, misery, agony and ecstasy. Addressing a group of students and faculty at the IIT campus in Chennai, India, Sadhguru answers a question on how to maintain joy and happiness regardless of the external circumstances. During a conversation with Sadhguru, actress Juhi Chawla wonders what one should do to become loving and happy in any situation, no matter how unpleasant. Sadhguru explains, keeping the mind pleasant or nasty is a choice belonging to each individual.